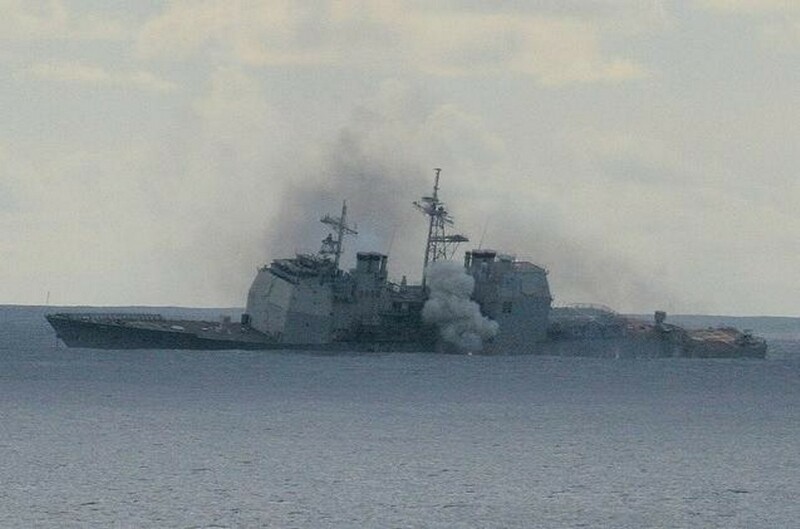 Fate: Sunk as target off Kauai, Hawaii on 2 NOV 2006 - 23:00.7N 159:53.8W 2570 Fathoms. 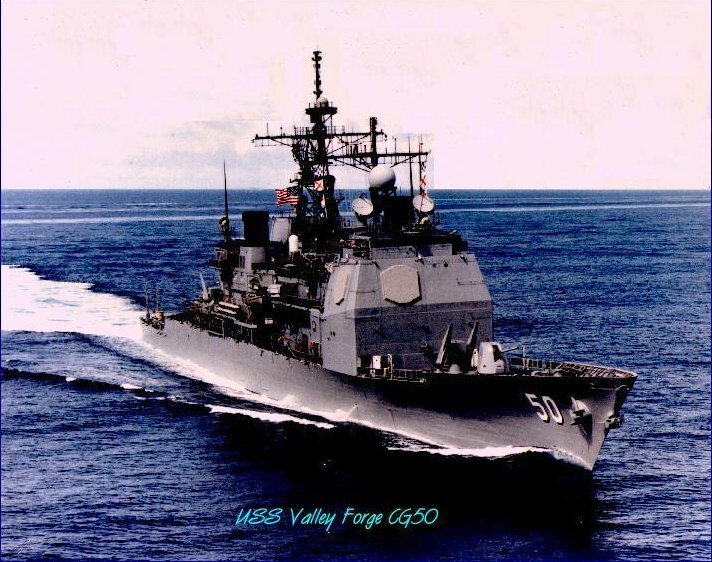 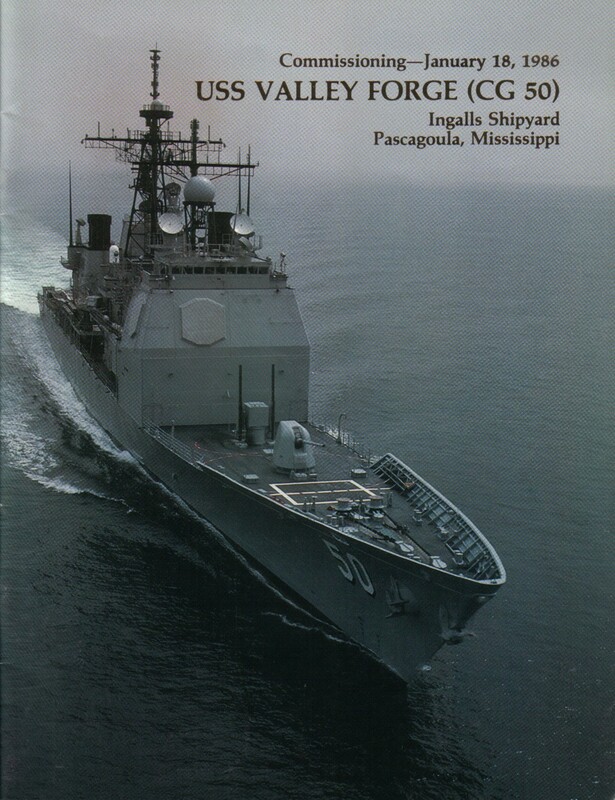 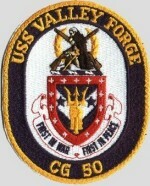 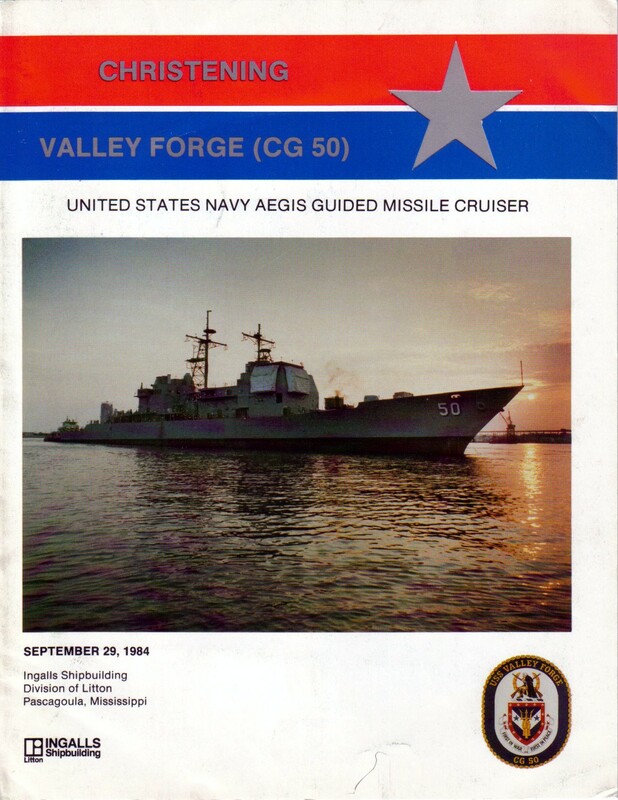 86k USS Valley Forge in San Diego, pierside at North Island. 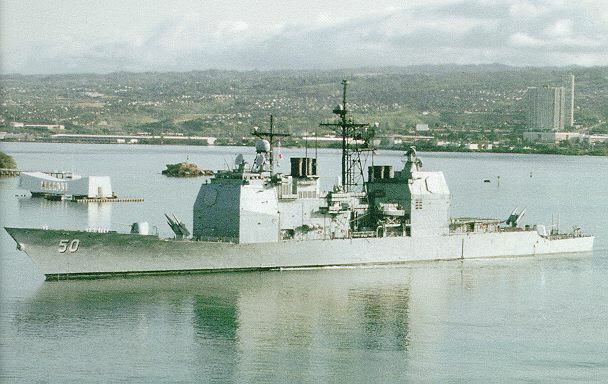 February 1987. 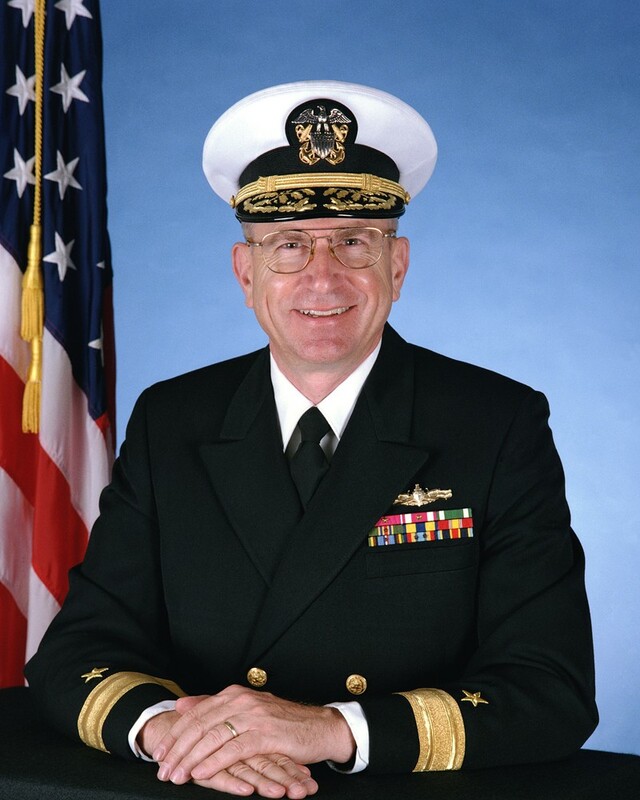 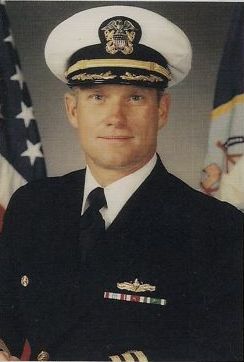 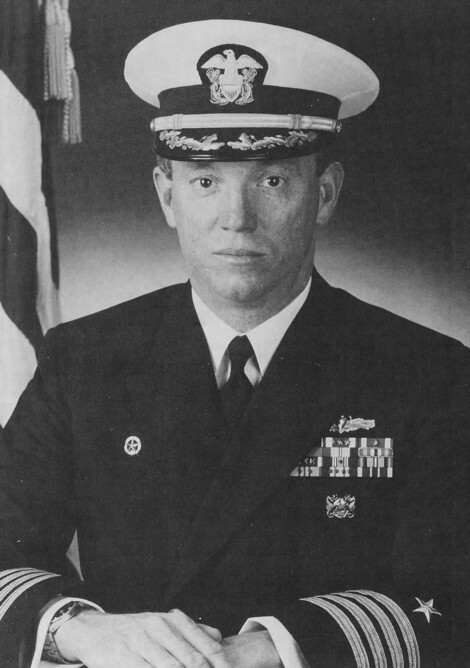 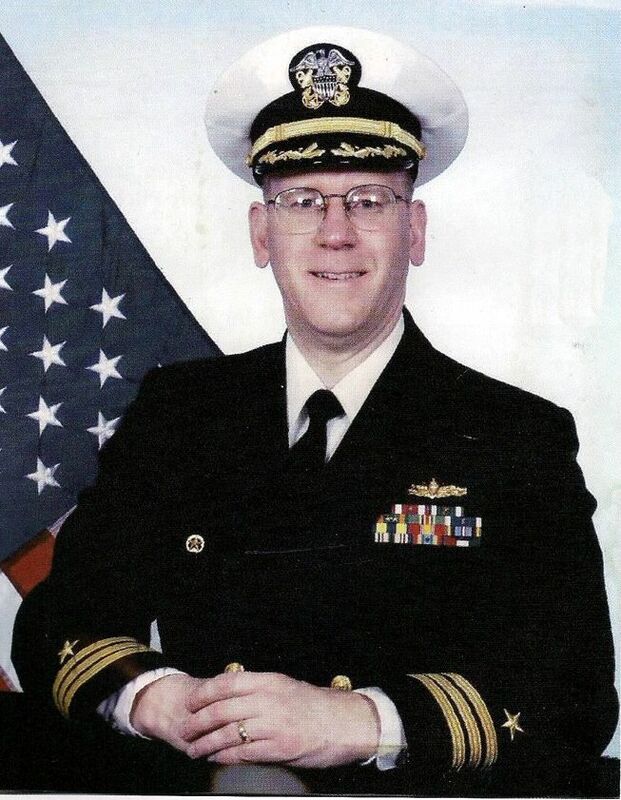 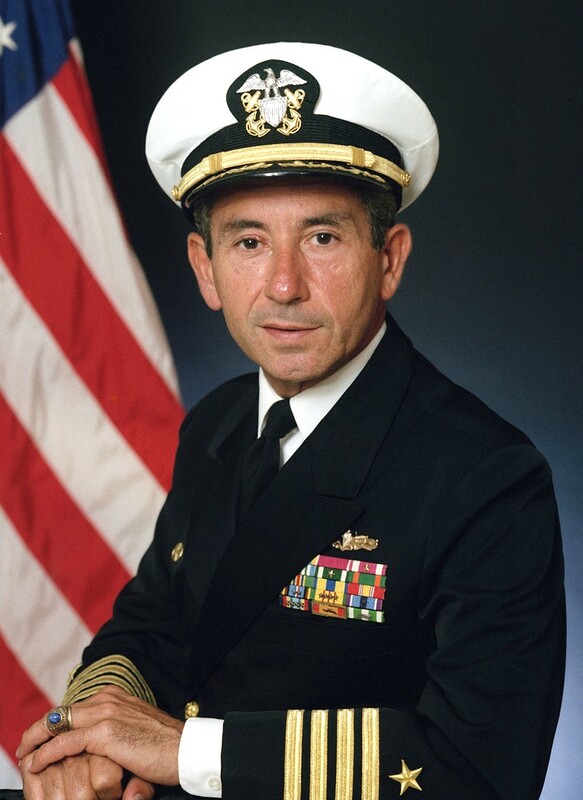 Lacy Lee, RM1 USN Ret. 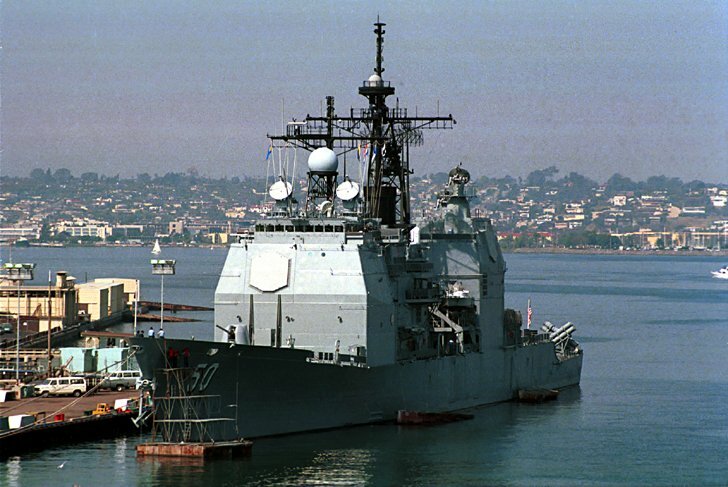 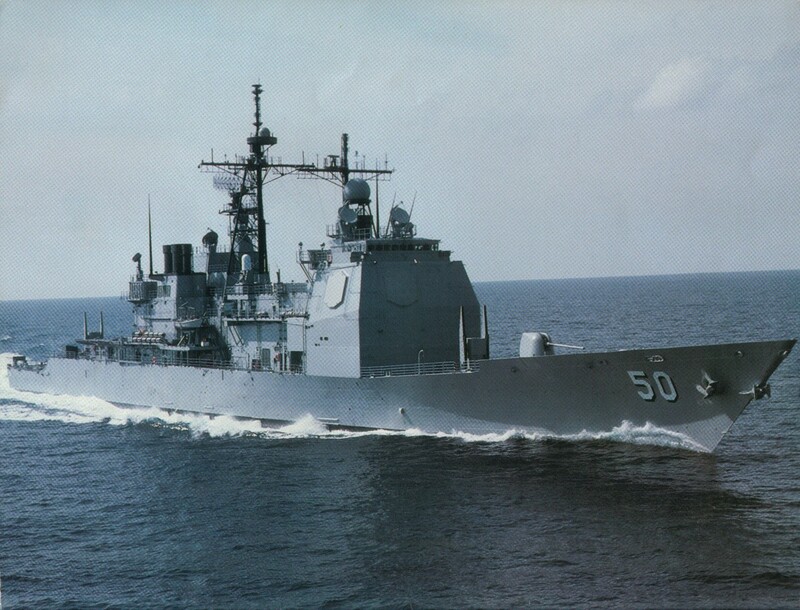 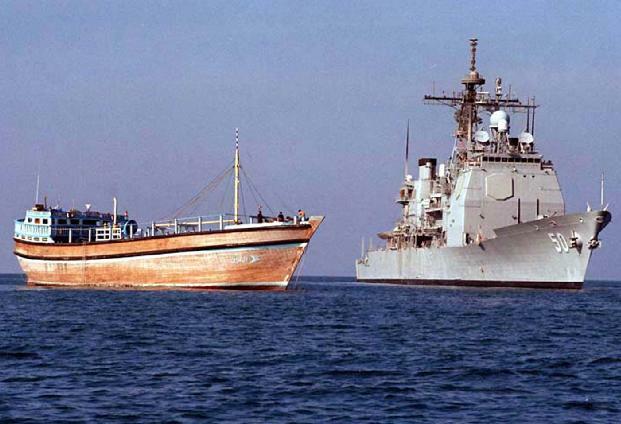 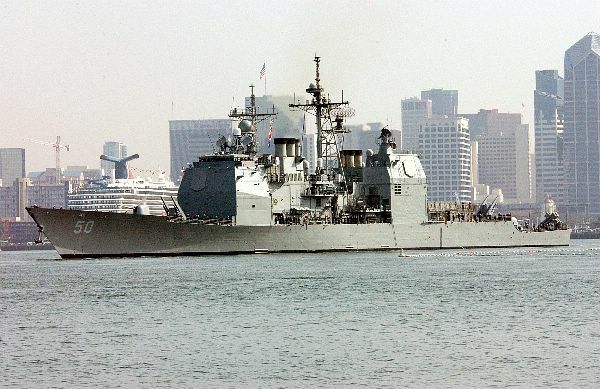 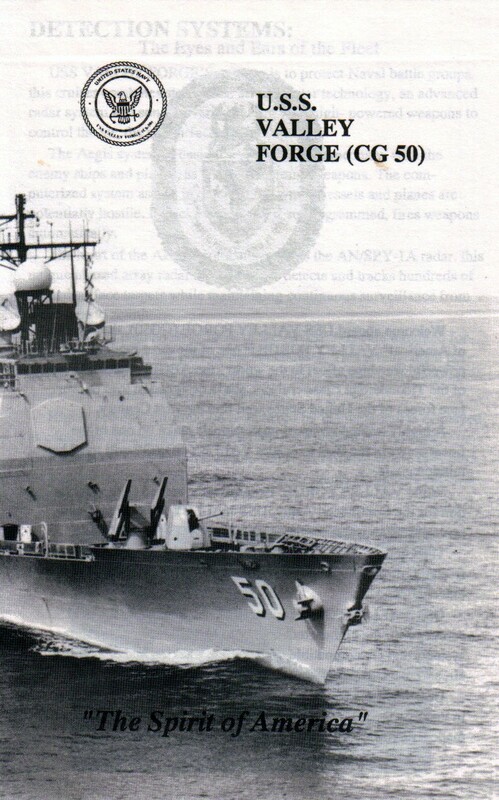 Naval Station San Diego, CA, 2 June 2003 - USS Valley Forge (CG 50) is assisted toward the pier by tugs at Naval Station, San Diego as the guided missile cruiser returns from a deployment in support of Operation Enduring Freedom and Operation Iraqi Freedom. 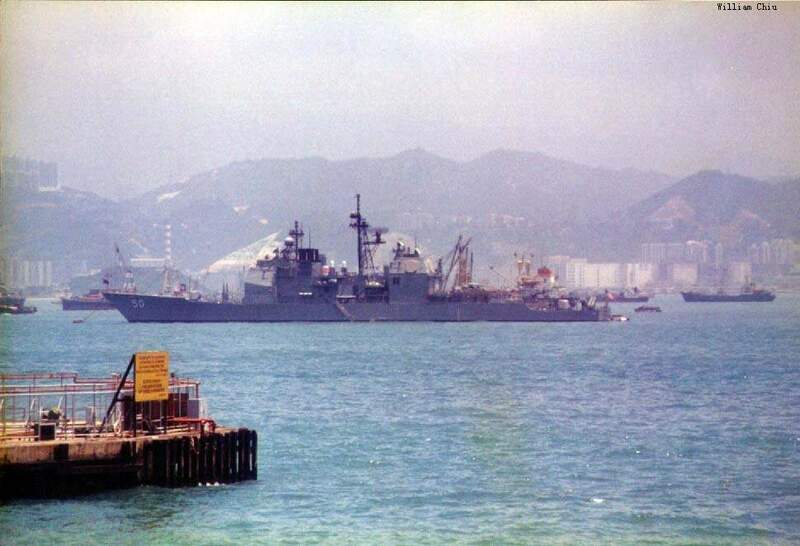 USS Bataan (LHD 5) is seen in the background. 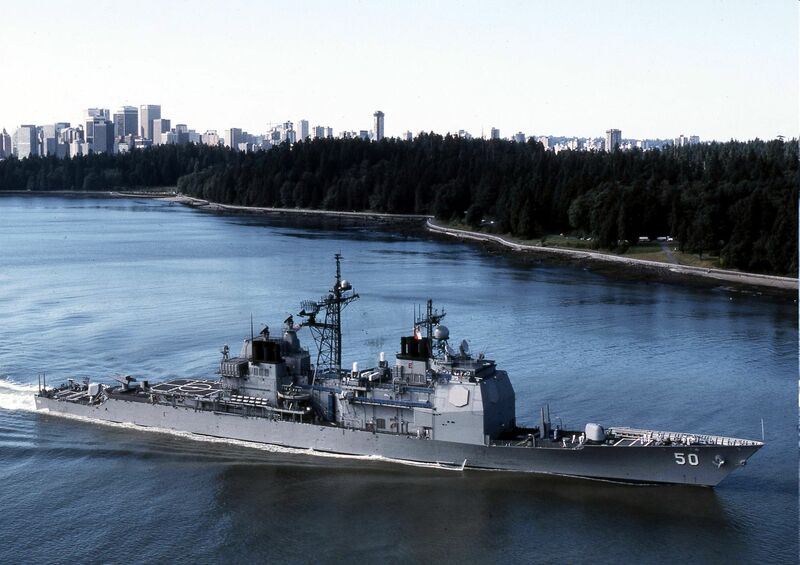 U.S. Navy photo #030602-N-6132R-008 by Photographer's Mate 2nd Class Louis Rojas. 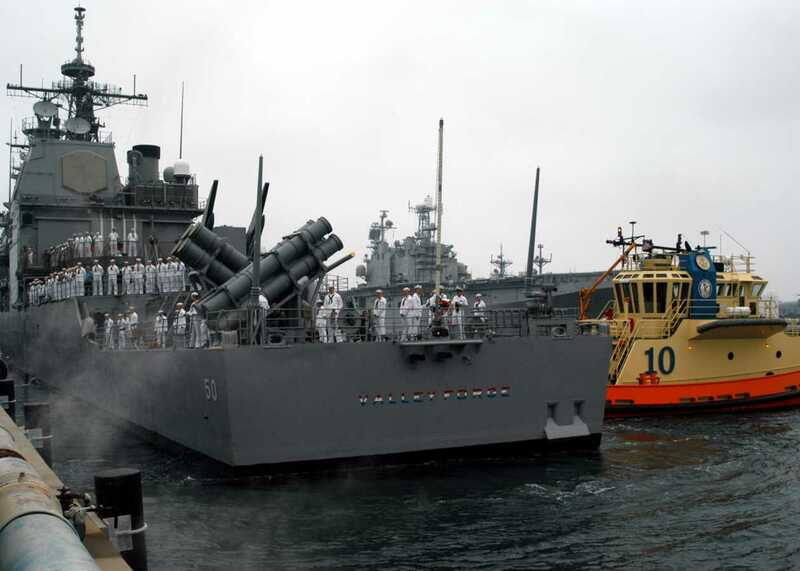 October 2003 - Ships belonging to the USS Constellation (CV-64) Battle Group parade their colors during an a airshow on board Constellation. 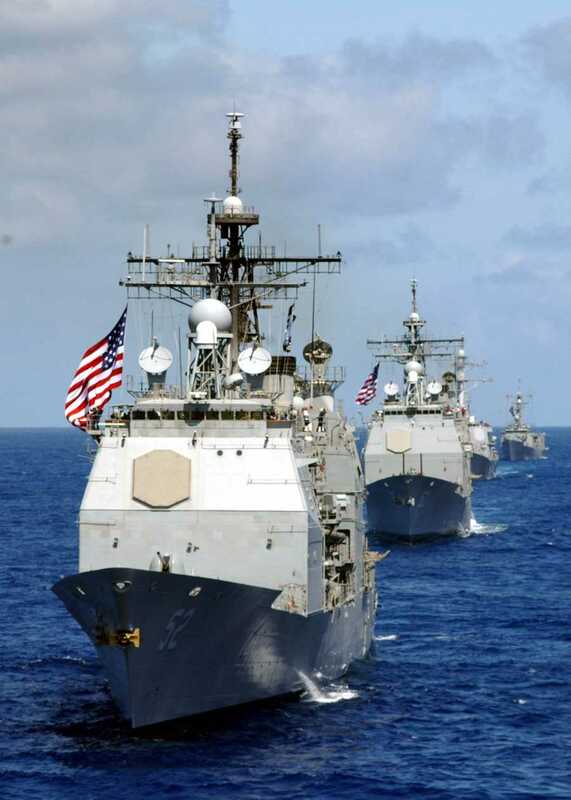 From front to rear: USS Bunker Hill (CG-52), USS Valley Forge (CG-50), USS Milius (DDG-69), and USS Thach (FFG-43). 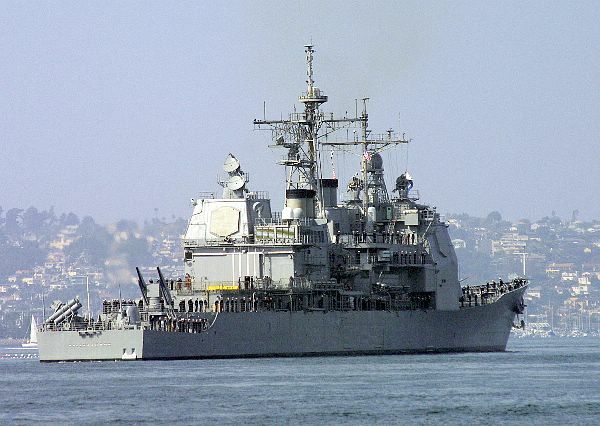 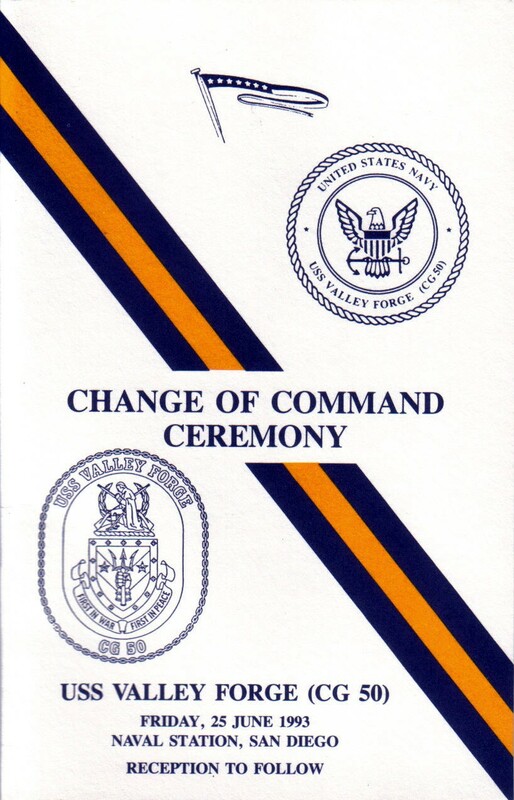 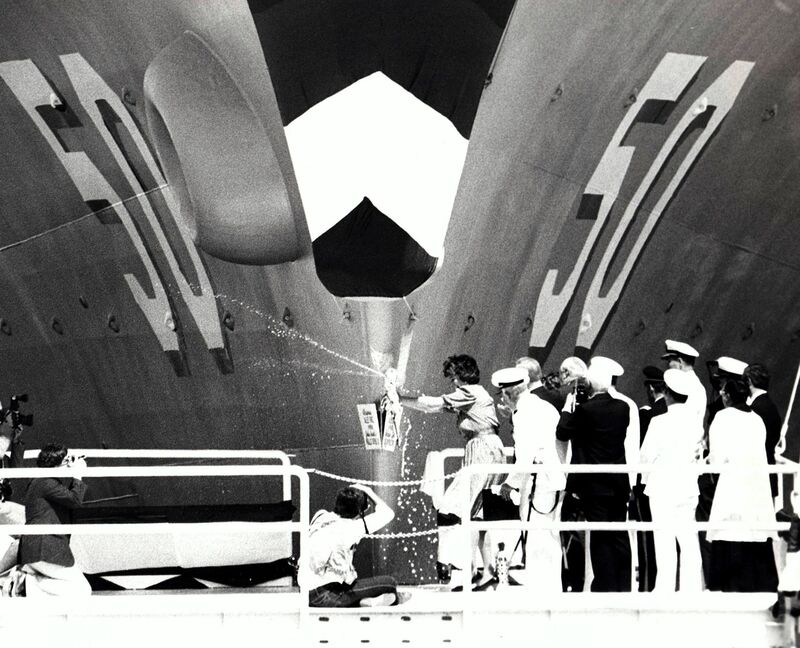 The carrier was decommissioned in August 2003.